HPGCL JE Admit card 2016: Haryana Power Generation Corporation Limited (HPGCL) is going to organize Junior Engineer (JE) examination. The test is scheduled to be organized soon. 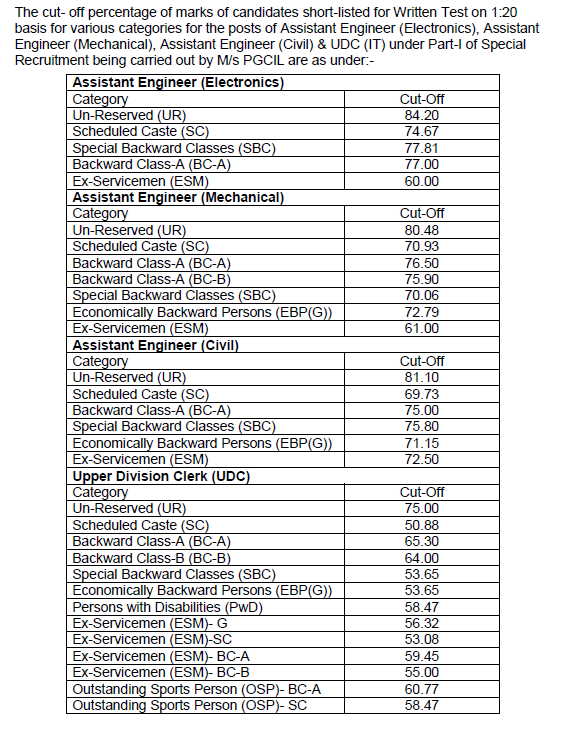 For that admit card of HPGCL is available now. Haryana Power Utilities viz. 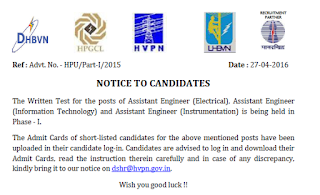 Haryana Power Generation Corporation Limited (HPGCL), Haryana Vidyut Prasaran Nigam Limited (HVPNL), Uttar Haryana Bijli Vitran Nigam Limited (UHBVNL) & Dakshin Haryana Bijli Vitran Nigam Limited (DHBVNL) had invited online applications for Assistant Engineer and Upper division clerk posts. 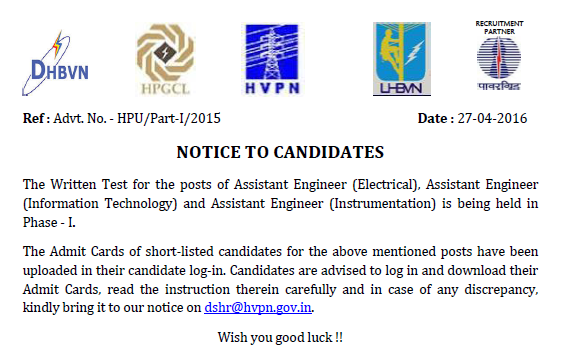 After a long time, HPGCL had started the process of conducting the written test. Selection process shall consist of Written Test & Interview. 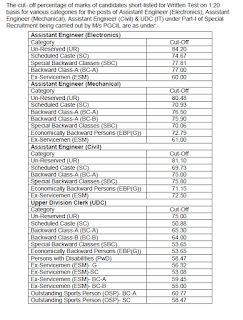 The Written Test for the posts of Junior Engineer is being held on 29 May 2016. 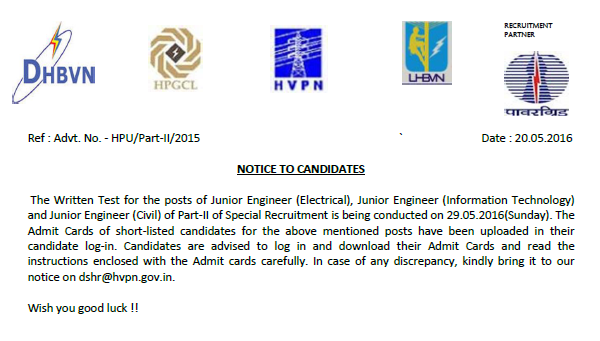 HPGCL Admit card for JE Exam is available now for the exam to be held on 29 May 2016. 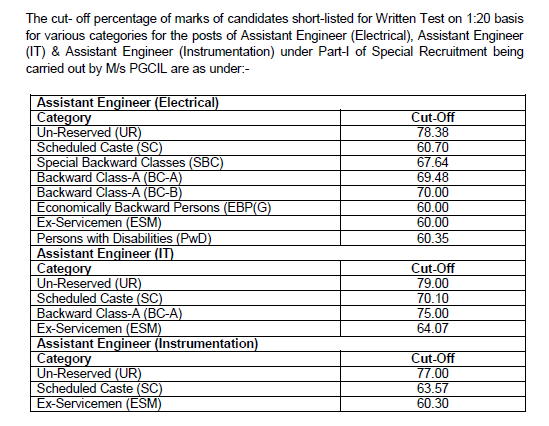 Here are the cut off marks used by HPGCL to shortlist candidates. The objective type written test will be of 02 hours duration. The paper will have 170 questions in English Medium only. 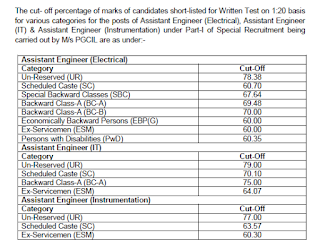 HPGCL AE Cut off marks: To qualify the test, the minimum score to obtain is 50% for UR posts and 45% for Reserved. Two times the no. of vacancies will be called for interview. Those who clear it, will be selected for the said posts. But first, there is this written examination going to be organized now. To download the admit cards, a candidate should visit the website via the link given here. Then they should login using their registration email and id. Their admit card / hall ticket will be shown having all the details of examination like adress of the centre, reporting time, roll no. etc.